Hello Friends, Are you looking for DDA Syllabus 2019? If yes, It is the perfect place for you. Delhi Development Authority will organized written examination for 190 Planning Assistant, JE, and Other Posts. An examination will take place tentatively in the month February 2019. 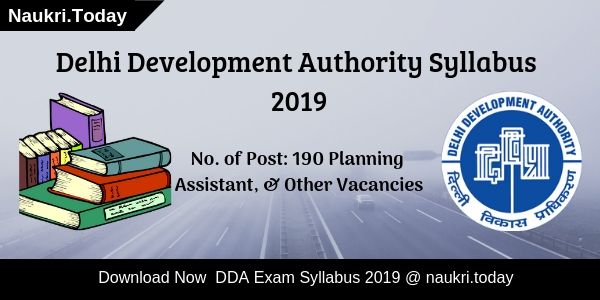 Candidates may download DDA Planning Assistant Syllabus 2019 from here. Participants should check Exam Pattern and Selection Criteria for Planning Assistant, JE, & other Post examination. The Department will conduct computer based test and skill test for selecting aspirants. For more details, candidates should read below article carefully. What Are The Important Dates for DDA Planning Assistant Examination 2019? Fresh Update as on 14.02.2019: Hello Friends, are you appearing for DDA Planning Assistant Exam? 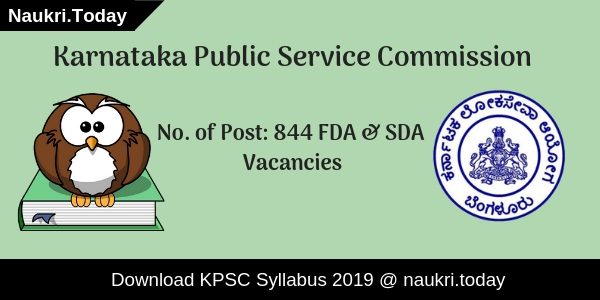 If yes then you must be looking for DDA Syllabus 2019. Participants can collect topics which are important from exam point of view. Candidates who are going to attend exam can download DDA Exam Syllabus 2019 from here. Examination date will be announce soon by the department. Fresh Update as on 12 January 2019: Hello Friends, Are you going to participate in Planning Assistant examination? If yes, Here we provided you DDA Exam Pattern and selection criteria. Candidates should download topic wise DDA Syllabus 2019 form here. Fresh Update as on 04 January 2019: Delhi Development Authority will conduct written examination for Planning Assistant & Other Posts. Applicants should check the latest Exam Pattern & Selection Criteria form here. Participants may download topic wise DDA Syllabus 2019 from a link given here. Candidates must do their preparations according to DDa Exam syllabus given here. Online Registration Dates for DDA Examination 2019: 26.12.2018 to 22.01.2019. The Delhi Development Authority Department has released notification for 190 Planning Assistant, JE, and Other Vacancies. Interested candidates may fill up an application form for DDA jobs from 26.12.2018. The Last date to apply online for DDA Planning Assistant Vacancy is 22.01.2019. now the Department is going to conduct Computer-based test for selecting applicants on 190 Posts. An Examination will be held in the month of February 2019. Participants should check here exam pattern and selection criteria for DDA JE Examination. Selection of Candidates will be made on the basis of written examination and Skill Test/Interview. A written examination should be Computer Based test. Candidates firstly appear in CBT Online Test. After that applicant who qualify in the examination will participate in Skill Test or Interview. Final Merit List should be created on the basis of overall marks of aspirants. To perform well in examination candidates should check here topic wise DDA Syllabus 2019. An Examination should be objective type in nature. It consists of four papers such as General Awareness, Reasoning, Quantitative Aptitude, & English Language. Total Number of question is 120 Marks and Time Duration is 2 hours. Each question consists of one Marks. Candidates should check here topic wise exam DDA Exam Syllabus 2019 for better preparations. Here we provided you particular syllabus for each post. Applicants can easily collect post wise syllabus form here. Participants must do their preparation according to DDA JE Syllabus 2019 given below. Delhi Development Act, (DD Act), 1957 will include all sections and provisions of the Act. Basic concepts of urban planning and Architecture, Planning Legislation and GIS, etc. Financial analysis of Balance Sheet and Income Statement, etc. Number Systems & Digital Logics, Peripherals And Storage Devices. Programming: – Programming In Asp.Net, Java And Android/ Mobile Aps Programming, Programming In D2k, Programming In Visual Basic, PL/SQL, HTML. Master plan proposals as per documents published from time to time, etc. Part-II is as well as mention above. Code of Civil Procedure, 1908 as amended up to date. Transfer of Property Act, 1882, etc. Participants should check here exam pattern and selection criteria before start preparing for DDA Examination 2019. Here we provided you steps which may help you to easily download DDA Exam Syllabus 2019. Candidates should open official Website of Delhi Development Authority i.e dda.org.in. After that search for DDA Syllabus section at Homepage. Now Read the complete syllabus carefully. Check Exam Pattern for written examination. After that Click on the Download button to Save it. Applicants must keep DDA Planning Assistant Syllabus beside them at the time of studies. Conclusion: Delhi Development Authority will conduct written examination for Planning Assistant, Sr. Law Officer, and Other Posts. Candidates should collect topic wise DDA Syllabus 2019 from the above article. It may help you to perform well in the examination. Aspirants who have applied or applying for the DDA Recruitment 2016 will now be searching for the DDA Syllabus 2017 & Exam Pattern. Applicants need to know the Delhi Development Authority Exam Pattern to prepare well for the exam. 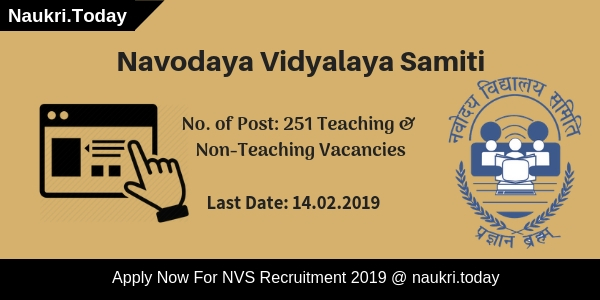 Check the Pattern given below for various posts accordingly to the official notification. All the related info about Selection Process, Type of Test, Subjects, Duration, etc is given below. Make effective use of the DDA Exam Pattern, DDA Syllabus so that you can score good marks in the Exam. Aspirants who are searching for Delhi Government Jobs can check the details of the recruitment notification from below. Delhi Development Authority is going to organize the DDA written exam at various test centers, and it has made all the arrangements for the applied candidates. So, aspirants who have applied for this recruitment are seeking for the Exam pattern, and DDA Syllabus 2016 as theses are necessary for the written exam. The selection process may include Written Test followed by the personal Interview/Computer Proficiency Test. We have gathered some information related to the Exam Previous Papers for the guidance of the candidates. You may also download the old question papers along with the detailed explanations. The Delhi Development Authority Exam Pattern is given below for various posts. Aspirants can check the DDA Syllabus, Exam Pattern given below for various posts separately. The standard and syllabus of the On-Line Examination will of the level of prescribed minimum qualification. The medium of the On-Line Examination will Hindi / English only for all posts. The weightage of marks of Written Examination will 5 % and for Interview shall be of 15% Marks, wherever prescribed. There will a penalty of 0.33 (negative marking) for wrong answers / multiple answers marked by a candidate in the objective type question papers having four alternatives. The Below Exam Pattern is also for the posts such as Dy. Director (PR), Asstt, (Plg. ), Director (Ministerial), Assistant Accounts Officer, Legal Assistant, Dy. Director (Plg. ), etc. The selection process consists of Single Stage Online Examination followed by Interview of shortlisted candidates. The Question Paper consists of 120 Objective Type (Multiple choice questions) for 120 Marks. Duration of the exam – 2 Hours. The Questions will asked on Respective Discipline, Reasoning, Quantitative Aptitude, General Awareness and English Language followed by Interview of shortlisted candidates. 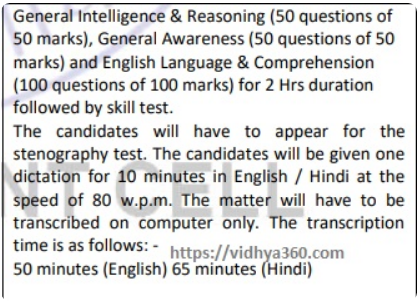 It is a direct test i.e the candidates will shortlisted through the written test followed by the Computer Proficiency Test . 1. Stage I will conducted for a total of 200 questions with 200 Marks. Duration of the DDA Exam will of 2 Hours. General Intelligence and Reasoning : 50 Marks & 50 Questions. Quantitative Aptitude : 50 Marks & 50 Questions. D. English Comprehension : 50 Marks & 50 Questions. 2. Stage II will conducted for a total of 300 questions with 300 Marks. Duration of the DDA Exam will of 2 Hours. Quantitative Abilities : 200 Marks (100 Questions). Test Paper Duration – 02 Hrs. Test Paper duration is 02 hours. Question paper will have 120 marks of 120 questions of objective types mcq from respective discipline. Question will from reasoning, quantitative aptitude, general awareness and English language. 1. Stage I : will conducted for a total of 200 questions with 200 Marks. Duration of the DDA Exam will be of 2 Hours. General Hindi : 100 Questions & 100 Marks. General English : 100 Questions & 100 Marks. 2. Stage II : Exam will conventional types of pen and paper method consisting of translation and essay of 200 Marks of 02 Hrs. duration. Stenographer Grade “D” : Single Stage Online Examination. Online Exam will conducted for a total of 200 questions with 200 Marks. Duration of the DDA Exam will be of 2 Hours. 02 Phase Online Written Test. Duration of the DDA Exam will be of 2 Hours. 1. Stage I (Preliminary Test) : General Awareness, General Intelligence & Reasoning Ability, Arithmetical & Numerical Ability, Hindi & English (Language & comprehension) and Basic Computer knowledge ( 120 questions/120 marks of 2 Hrs duration). The candidates going to write in DDA Recruitment Exam 2016, inform that, Negative Marking policy is applicable for the recruitment examination. If question of 01 marks then penalty of of wrong answer is 0.33. So do it carefully. Delhi Development Authority (DDA), Delhi will select only eligible candidates for the required post. The department will releasing a Final Merit List which will preparing on the basis of obtains marks in Pre & Mains examination by the candidates. After the, qualified candidates will called for Personal Interview. Applicants who will successfully cleared the all states, will called for Document Verification. Selected candidates, have to attend the verification exam on given schedule and submit their your all qualification documents, certificates, testimonials etc. that is required by the Department of Delhi Development Authority. The Simple process to check the DDA Syllabus/ Exam Scheme 2016 is to follow the simple steps mentioned below to get details properly. There are official links to download the syllabus and DDA Paper Pattern 2016 directly from the official site. Click on the link and it will show you all the related information. Read the DDA Exam Pattern & Syllabus on here. Check all the details carefully and give examination. Download DDA Jr. Engineer Exam Hall Ticket. Check Here For DDA Official Recruitment Notification. DDA Syllabus 2017 DELHI DEVELOPMENT AUTHORITY RECRUITMENT CELL has issued a Junior Engineer Vacancy. Candidate should check here for more details for DDA Syllabus Exam Pattern. Exam will held in the month of September 2017.